Worldly Dogs focuses on the history of dog breeds from around the world. We also have basic information on health, temperament and care. We pride ourselves on being the most complete website for dog breeds no matter where in the world you are located. You can either search for a breed that you know and love from our easy alphabetical dog breed list or take a chance and explore the breeds geographically. Make sure that you stop by our blogs during your visit. 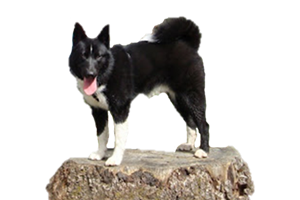 Worldly Dogs has in depth articles on dog breed history and Life with Loony Luna is a snapshot of our own dog family, along with helpful training tips and dog care. on a hunt and as a protector for which it gets its name. both the United States and Canada. breeds that can be born with a ridgeback.